What is sofrito? 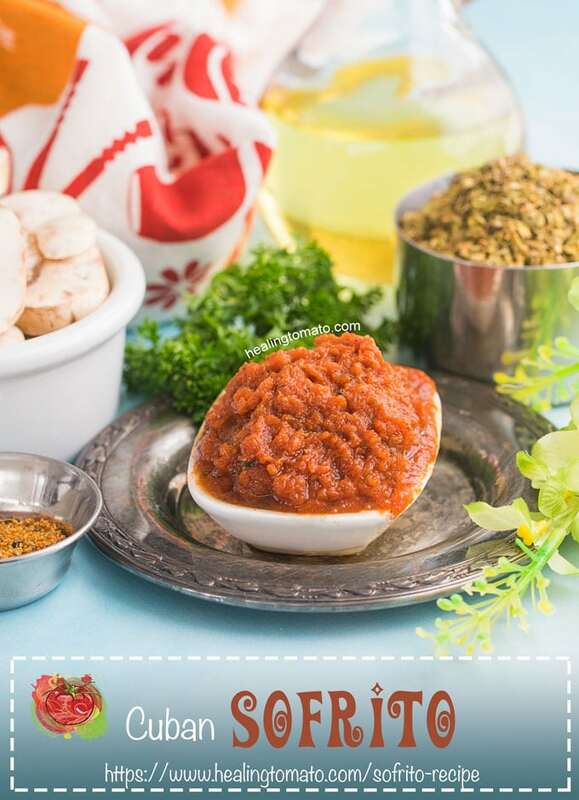 Its a simple tomato-based sauce that is easy to prepare and can be used as a base in many Cuban and Latin recipes. This version is slightly on the spicy side because that’s how Cuban food is best enjoyed! 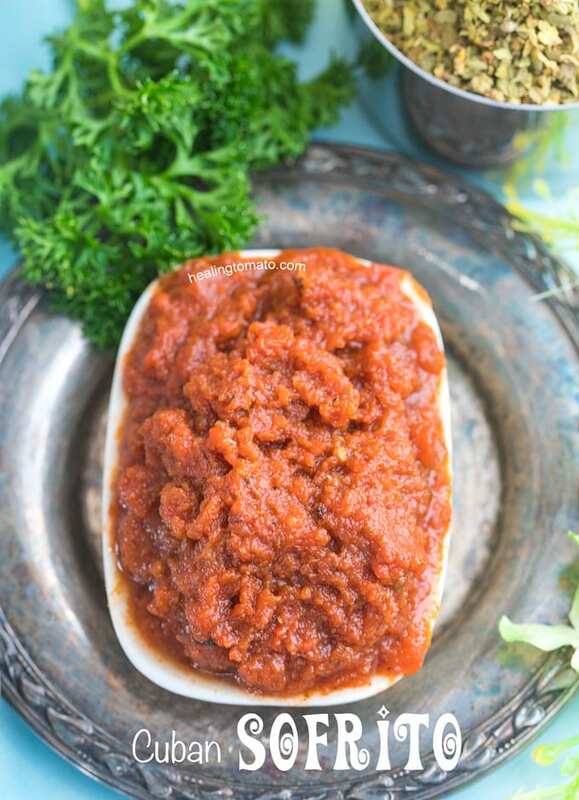 There is always a special happiness when I am posting a tomato recipe, like this sofrito recipe! It feels like I am getting back to my roots of why I started this blog. This sofrito recipe made with heirloom tomatoes makes for a rich base in any Cuban recipe. It turns a mild red beans and quinoa recipe into a juicy, flavorful meal! Cuban food is slowly becoming like second nature to me. I love the powerful flavors of this cuisine and all its colorful vibrancy. My first attempt at true Cuban cuisine was these Vegan Cuban Picadillo. Its one of my all time favorite pressure cooker recipes and its so easy to prepare! A couple months ago, I made Vegan Ropa Vieja. It took a while for me to get the ingredients and flavors just right, but, I am so glad I did! Its a huge fan favorite! Why can’t you just microwave the glass jar after removing it from the freezer? How do you store sofrito? What kind of tomatoes do you use in sofrito? Sofrito is a sauce that is made with many different flavors and ingredients. Its very common in Latin cuisine, but, Italians also have a ‘SOFFRITO‘ base in many of their dishes. Puerto Ricans make their sofrito using Culantro and aji dulce peppers. I have also seen Cubanelle peppers used in their sofrito recipes. I love that they use culantro because its so aromatic and delicious. I used it in my vegan dumpling soup, enhancing its flavor! If you are Columbian, you prepare your sofrito very simply. You use green onions and tomato which is the perfect combination! This also works as a dip for an arepa. I have seen it used in Caribean cuisine as a base for curing many of their ham recipes. 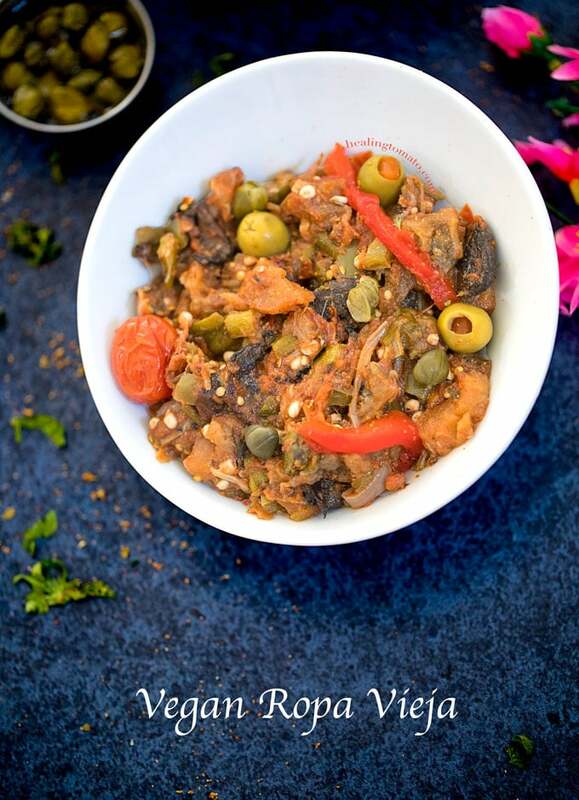 They make use of Lard extensively in their sofrito recipe which make their meals so soft! Its my humble believe that you should make sofrito as you need them. There is nothing quite like freshly made version of these sauce. However, if you make a large batch or if you don’t want to keep making it every time, then you can refrigerate it. Since it has fresh tomatoes, I normally refrigerate it for about a 1-2 weeks. If it can’t be used by that time, then freeze it. It should last about 6 months to a year. When you use it, place the glass bottle in a pan of hot water. After a few minutes, the bottle with open with ease. Let it stay in the warm water until you are able to transfer it to a pan. Cook it for 5 minutes before putting it in another recipe. Well, I am not a fan of thawing meals in the microwave. I find that food tends to get soggy and lose some of its flavors. Heating it stove top will ensure that it retains its flavors and color. I am totally a snob when it comes to the microwave, right? I think it comes from growing up never having one. It always made use cook food differently. Always use a glass jar to store sofrito because glass will not react with the tomato. You can also use ziploc bags. Either way works fine, but, I always make sure I put “date made” on anything I freeze. This way, I know how long its been since I made it. My favorite thing to refrigerate is Kale chips with sriracha. I grind it up and keep it refrigerated to use as a topping in soups or sandwiches. Most of the sofrito bases, by itself, are vegan. They don’t use any meat, eggs, honey or dairy. Once it is made, its up to the chef to put it in the main recipe. That’s where the meal turns into something specific like vegetarian, paleo, etc. My recipe is completely vegan so fear not! 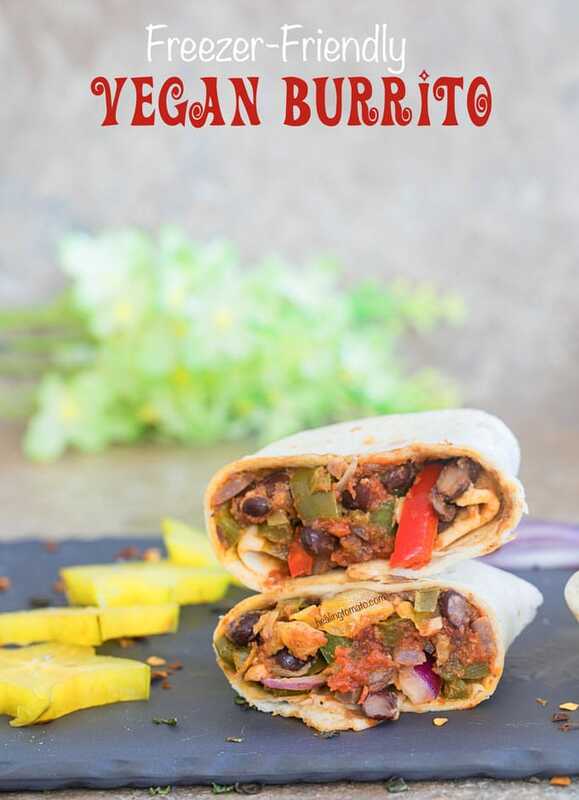 I made a delicious vegan burrito recipe that will knock your socks off! The possibilities are endless, if you ask me. 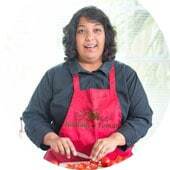 However, traditional sofrito recipes tend to use plum or beef stock tomatoes. When I made the recipe for Deb, I used plum tomaotes, which were the perfect texture for the Cuban bowl. However, I had an heirloom tomato left over from my Tomato granola recipe and I figured it would be perfect for use in this recipe. These vegan Cuban burritos are made even better because of this homemade sofrito recipe. This vegan ropa vieja is one of my all time favorite creations. Its moist, flavorful and so delicious! 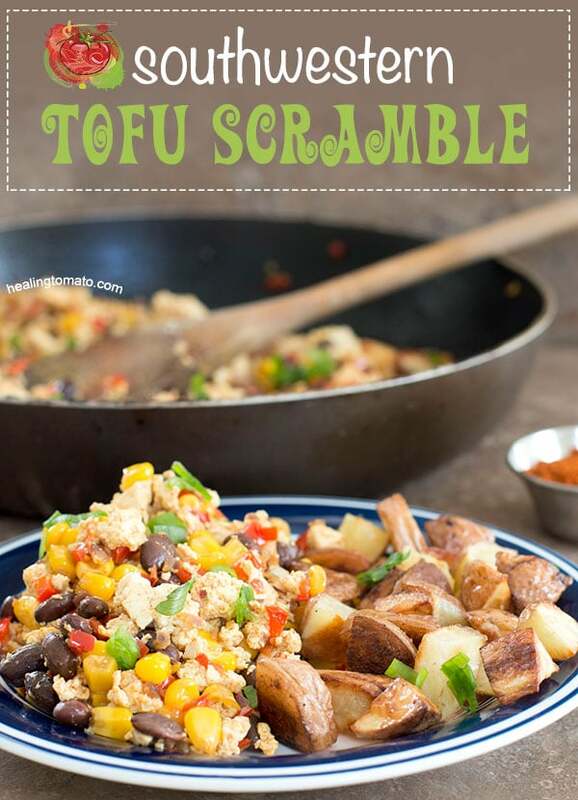 I didn’t use sofrito in my Vegan Tofu Scramble the first time I made this recipe. However, subsequent times I made it, I always added sofrito to it and it was so delicious. So, what recipe will you be using Sofrito in?